Can't get enough Bloomsday? Make a weekend of it. For the 10th year in a row, the day before the big run, kids from kindergarten through third grade can walk or run in the Marmot March. 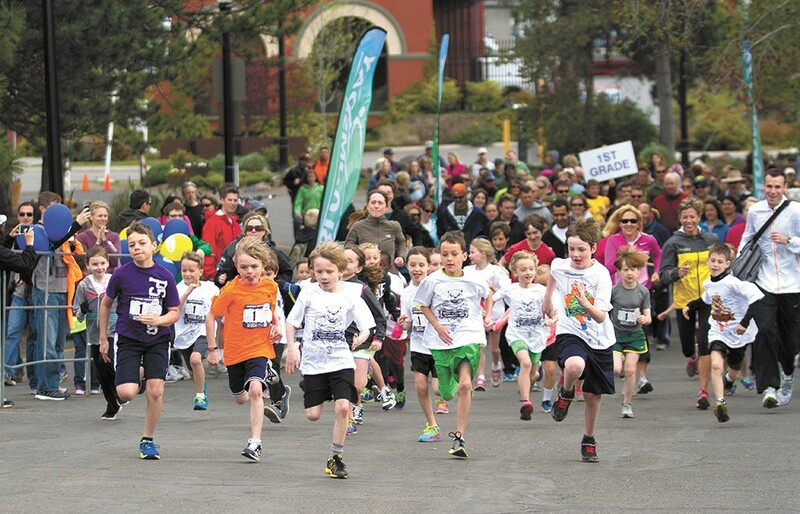 The 1-mile, non-competitive mini-Bloomsday welcomes kids along with their adult companion. Mascots from surrounding schools and businesses will line the route to cheer on the participants and pose for pictures. After registry, each kid receives a T-shirt and a paint set to personalize their shirts before the big march. Upon arrival, participants will notice a Soles4Youth bin. The new charity is accepting donations of new or gently used athletic clothing and shoes, in the hope that all area grade-school kids who want to participate in school cross-country programs won't have to sit out because they don't have the the right gear.